Find out how Christina’s trainings can help. Are you a good lawyer interested in being better? Find out how Christina’s trainings can help. Knowledge about family law is no longer enough. Now more than ever clients want to feel heard, they want to know you understand, they want connection. For most family lawyers the thought of being empathic or validating with a client can be incredibly intimidating. And yet… it is the very thing that causes clients to love you or leave you. In this program, Christina will share insights and strategies that will help you make meaningful connections with clients. Participants will learn soft skills that yield big results using her RAVE approach: engaging with clients using Relatability, Authenticity, Validation and Empathy. A formula that will not only make clients your biggest fans but also make you a better lawyer. Find out the single most important skill every “good” family lawyer needs. Discover why logic and reason won’t work with clients and what to do instead. Learn effective strategies to help clients get unstuck and gain insight, bypass battles and counter conflict while putting kids at the center, not in the middle. Explore how brain systems and our own hard-wired responses impact co-parenting, how clients respond to what you tell them and their ability to make child-centered decisions. Experience a unique “stand in their shoes” look at how divorce really impacts the lives of children and parents. Gain the confidence and skill to talk to your clients in an empathic way without compromising your role as their lawyer. At the end of this training you’ll know the secret to making authentic connections with your clients and how to turn them into your BIGGEST fans. As a family lawyer, dealing with emotionally intense parents day-in and day-out can leave even the most seasoned clinician feeling drained and burned out. From dealing with distraught parents to high-conflict cases, it can be hard to know how to manage these difficult clients without compromising your role as a lawyer. If you’ve ever wished there was another way to connect with your clients, offer reassurance and calm the chaos while redirecting them towards child-focused solutions, this is the workshop for you. In this one-day program, Christina provides family law professionals at every skill level the tools they need to expand their skill set. Participants will discover new insights for working with high conflict clients, learn practical strategies for dealing with distressed or angry parents while gaining the confidence you need to engage in a more effective way. Discover the science behind why parents get stuck in a cycle of conflict and how to shift them out of it. Learn more effective strategies for engaging with clients who won’t listen to logic or reason. 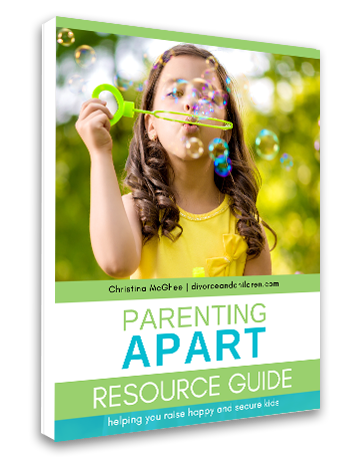 Be introduced to a “one of kind” resource that you can use to open the hearts and minds of parents. Discover practical strategies to help clients get unstuck, shift their perspective, craft a clear direction and stay focused on their children. Expand your current engagement skills by learning new ways of speaking with clients that yield better results. Increase your knowledge about the dynamics of high-conflict and personality disorders and learn what to do with difficult clients who are committed to conflict. Engage in hands on exercises and interactive case studies that will enhance your skills for working with a variety of high-conflict situations. Leave feeling energized, inspired and full of ideas about how to transform your practice. This workshop centers around the powerful documentary, SPLIT, a film which features 12 amazing kids speaking the powerful truth of what is on their minds and in their hearts as their families change. The wisdom, candor, and humor of their stories offers an eye-opening and unfiltered look at how kids really feel about divorce. Following a screening of the film, this interactive training will help participants gain insight while offering a wide range of skills and strategies on how to best help children and their families when parents part. Remember that saying “If mama ain’t happy, ain’t nobody happy”. It’s totally true. Kids will follow your lead after divorce. So, if you want happy, healthy kids, making time for a happy, healthy you is critical. In this interactive session Christina reveals “real-life” self-care strategies for savvy single moms. Presentation will include an exclusive preview of SPLIT, a powerful documentary featuring 12 amazing kids. Sharing their heart-felt stories, this film offers a candid look at how divorce impacts children’s lives. Insightful, touching, and sometimes even funny, SPLIT pulls back the curtain on how kids really feel when parents part. Following the screening of the film, Christina will share insights on how parents can stay mindful of their children needs and make thoughtful choices about how life moves forward. Let’s face it, even under the best of circumstances, parenting is challenging. Add parenting out of two homes to the mix and life can easily shift from calm to chaotic in a matter of seconds. If you have ever struggled with coordinating schedules, discipline differences, dealing with back and forth stress or badmouthing, this is the presentation for you. In this talk, Christina shares her top tips for developing an effective parenting relationship that puts kids at the center, not in the middle. INTERESTED IN LEARNING MORE ABOUT CHRISTINA'S TRAININGS?